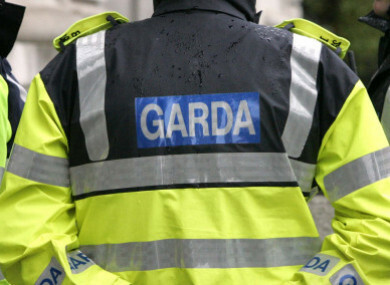 AN GARDA SÍOCHANA is encouraging people to contact them about incidences or bribery and corruption. The organisation has launched a confidential 24-hour telephone line for members of the public to report such crimes: 1800 40 60 80. The system will allow callers to leave a voicemail which will be evaluated by staff attached to the Garda Anti-Corruption Unit. This unit was set up within the Garda National Economic Crime Bureau (GNECB) in 2017 and is dedicated to the investigation and prevention of bribery and corruption occurring both within and outside the State. People are being encouraged to report both Irish citizens and business entities they suspect of wrongdoing. Speaking to TheJournal.ie about the phone line, Detective Superintendent Gerard Walsh of the GNECB said all police forces get intelligence from different sources including members of the public. “In some cases, it’s credible and can lead to an investigation and prosecution,” Walsh said. However, he noted that, in many cases, the information “may not be as useful as the caller thinks it is”. We’re asking people to give as much information as possible so we have the opportunity to investigate credible allegations. For example, Walsh said if a caller says something along the lines of, ‘You might want to look at such and such a company, it’s all wrong’ that doesn’t give gardaí enough information to work with. “It’s better if they know of a particular transaction or set of circumstances. What we can do is affected by quality of information we receive. “There could be 1,000 reports a year but maybe only 10 might be of value,” he said. Walsh said he would never refuse more resources but doesn’t believe more staff will need to be hired to investigate any credible leads, noting that employees within the GNECB are trained in this area, as are some 400 members of the force nationally. He said the main issue is that such claims could be “resource intensive” and take a long time – for example if the alleged bribery or corruption occurred in another jurisdiction and the gardaí had to liaise with authorities abroad. Walsh said “a broad gambit of calls” is expected, noting that “some people will speak about very minor corruption, as they see it, right up to the biggest instances of corruption”. He also noted that there is “lots of anecdotal evidence of corruption” in Ireland. According to a survey carried out by the European Commission in 2013 (and published in 2014), 81% of respondents in Ireland thought corruption was fairly or very widespread here. “We’re certainly not seeing that level of corruption,” Walsh said, but added that it may be underreported. In terms of people wishing to report alleged instances of corruption or bribery with An Garda Síochána, Walsh said any credible reports will be investigated. He noted that members of the force have been investigated in the past, with people who were found to have accepted bribes being prosecuted. “Please report them to us, it will be confidential and dealt with the way it should be. I’ve no interest in protecting anyone who may be into that type of criminal activity and I don’t know any other member of the force who would be,” he said. Email “Gardaí launch new phone line for people to report bribery or corruption”. Feedback on “Gardaí launch new phone line for people to report bribery or corruption”.